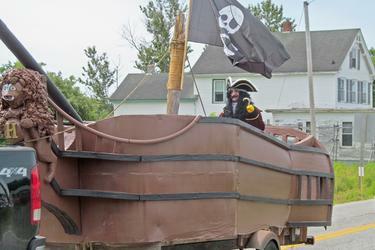 The Jolly Roger pirate ship is the second place winner of the Penobscot Day parade float contest on July 14. The town of Penobscot celebrated its past, present and future with an all day affair on July 14. A parade featuring floats with themes from cancer survivors to a circus made its way through town from the North Penobscot Baptist Church to the Penobscot Community School. Children lined the road to collect candy thrown from various floats, a sign of the older generation giving to the next. Events were held around town, with the Penobscot Historical Society serving up food during an all-day yard sale that was sprawled out across the historical society grounds. At the school, a water slide was set up for those brave enough to get wet. The school’s drama program also put on a play for the public that afternoon. The Penobscot Fire Department held a chicken BBQ, and fireworks concluded the festivities later that night. The float that took first place in the parade was Cancer Survivors, which was built with former fire chief Dennis Robertson and former town clerk Cupe Gross, both of whom survived their battles with cancer. 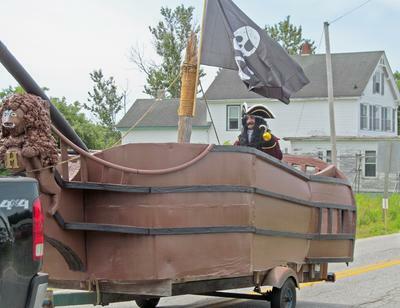 The Jolly Roger pirate ship float came in second place, created by Bobby and Carol Cody. Third place went to the Big Top float, which featured balloons, bubbles and stuffed animals with a circus theme. 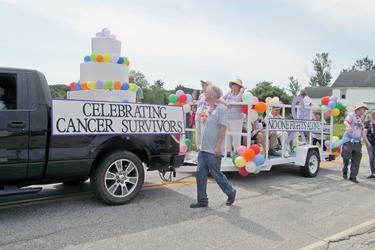 A float dedicated to cancer survivors is the first-prize winner of the Penobscot Day parade float contest on July 14. 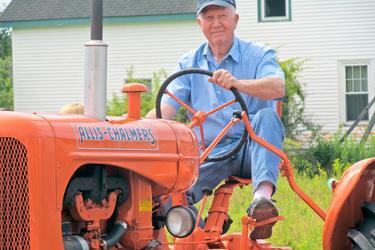 Penobscot Selectman Paul Bowen drives an antique tractor during the Penobscot Day parade on July 14. 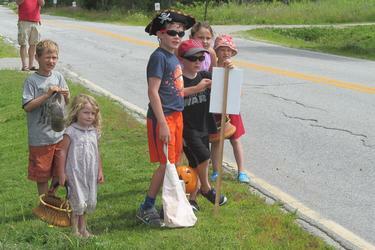 Young parade attendees eagerly await the candy thrown during the Penobscot Day parade on July 14.